For entrepreneurs new to magazine publishing, media kits are an indispensable marketing tool that will serve as the face of your publication with prospective advertisers. You may only have one chance to make an impression with any given ad buyer, so getting the design, feel and messaging of your media kit right is essential to hit the ground running with your marketing plan. To help get you started in the right direction, we’ve put together our top 10 media kit tips to take to heart as you plan the launch of your magazine (or even if you’re just looking to make your existing media kit more effective and compelling). 1. Engage Them Quickly. 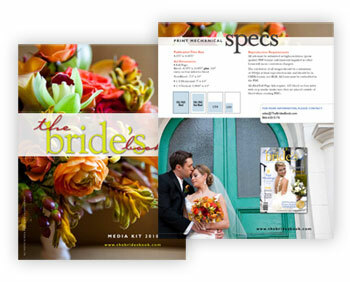 Advertisers receive tons of media kits, and your chance to catch their eye is fleeting at best. Remember, your entire business model may be resting on the early success or failure of your media kit, so don’t be tempted to just wing it and hope for the best. Establish credibility instantly with a great media kit design and grab their attention quickly with compelling headlines and graphics. Your media kit is a marketing piece, not an editorial piece — so it should be bolder and designed to compete with all the other media kits and publishers in search of advertising dollars. Engage your audience, keep your pitch concise, and get your key messages across quickly. 2. Get Noticed. Emailing media kit PDFs is a quick, efficient, cost-effective way to get yourself in front of advertisers, and this method can work just fine in many cases. But for larger advertisers with bigger ad spends, you may need to crank it up a notch to get noticed. If your marketing budget allows, consider having a custom die-cut pocket folder created in which to distribute your information, complete with business cards, a tri-fold brochure, slip sheets and any other information that will help you make the sale — this should add credibility and flair to your presentation and help you stand out from the competition more than a simple (and easily disposable) email attachment. 3. Benefits, benefits, benefits. A classic marketing mistake many businesses make is focusing too much on features (the what) and not enough on benefits (the why) — spending too much talking about themselves and their offerings and failing to address the needs of their customers. While you do need to let advertisers in on your vision for your magazine and talk a bit about who the target readership will be, ultimately their decision to advertise will come down to how well you communicate the benefits of your publication to their bottom line. So don’t spend too much time on fluff in your media kit — get down to business quickly and highlight as many advertising benefits as you can. 4. Position Yourself. In addition to emphasizing your publication’s benefits to advertisers, go one step further and make it very clear to prospects what it is that makes your publication unique, and why they should advertise with you over a competing magazine. For instance, are you taking advantage of a hot new emerging trend? Or tapping into a segment of the market that is currently underserved by magazine publishers? You will likely already know how you plan to position yourself with readers — make sure you communicate that to advertisers as well. 5. Show Your Stuff. Particularly for new publications, establishing credibility with advertisers, as mentioned above, is critical. So including covers and spreads from an actual magazine issue (even if it’s your first issue in progress) is essential. You can go on at length about why an advertiser should commit some of their budget to you, but ultimately they’ll want to see exactly what your publication will look like — and what they’ll be associating themselves with by advertising. So the initial magazine design really should be undertaken prior to, or simultaneous with, the media kit design. 6. Prototype It. 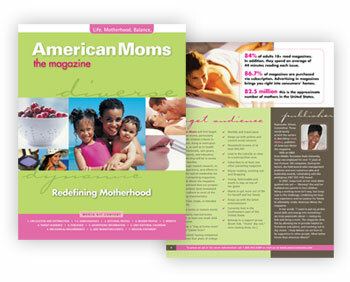 Even better than including some of your gorgeous magazine artwork in the media kit, producing an abbreviated prototype issue (either in PDF format or printed digitally in limited quantities) to distribute to advertisers can be very effective in getting noticed, earning credibility and establishing your image as a real, tangible product that’s more than just a fledgling idea. 7. Break It Down. While developing your publishing business model, you will likely already have gathered copious amounts of market research data pertaining to your target readership, including demographic information like buying power, age, gender, ethnicity and so on. For advertisers, that kind of information is critical to making an ad buying decision, so be sure to spell it out in your media kit with as many relevant bullet points, tables and charts as possible. What’s more, showing this kind of market research up front shows that you’ve done your homework and aren’t just launching your magazine on a wing and a prayer, once against boosting your credibility. 8. Cover the Bases. In addition to the background info, data and benefits-rich sales pitch in your media kit, be sure you make it as easy as possible for prospects to convert into ad buyers. 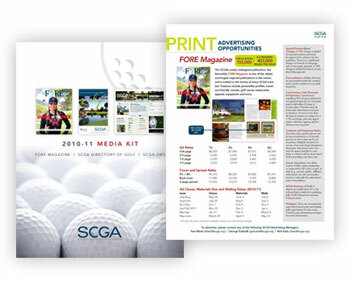 Make sure your advertising rates and technical specifications are finalized in time to include in the media kit, and feature this information on a dedicated page of its own. That will allow interested advertisers to make decisions quickly and efficiently — and, once they’ve made the decision to buy space, communicate the necessary specs to their ad designers. Also, make sure your contact information is prominent and easy to find in the media kit, in case ad buyers need any clarification prior to giving you the go-ahead. 9. Think Beyond the Printed Mag. With digital and online technology playing such a pivotal (albeit emerging) role in today’s media market, be sure to consider all your options for maximizing your advertising reach and capabilities. Will you be releasing a Flash-based flipbook of the magazine, complete with interactive, media-rich ads? Are you planning to sell ads on your magazine website/blog to boost revenue? Have you considered having the magazine distributed and sold via outlets like Apple iTunes or Zinio? If any of these are in your master plan, make sure advertisers know, in as much detail and with as many benefits as possible, what your vision is for growing your advertising platform and allowing them to reach their target markets in new and innovative ways. 10. Integrate Your Media Kit into Your Master Marketing Plan. Starting a new magazine — or revitalizing an existing one — is as much about instilling confidence in advertisers as anything else. And while a gorgeous, well-thought-out, thoroughly planned media kit is an essential part of any magazine’s business plan, ultimately you’ll need to use common-sense sales strategies and form person-to-person relationships with ad buyers to see your venture take off. So even after sending out your eye-popping media kit to the world, don’t just expect advertisers to necessarily beat a hasty path to your door. You’ll need to put in some effort, work the phones and pound the pavement to leverage your media kit to its fullest potential as a powerful tool in your overall sales arsenal.